Back in school days I remember being excited about getting new stationary for the beginning of the school year and that feeling never really left. Whether you have a home office or a small office, a well stocked stationary cupboard is essential. We found some stationary must have’s for you to use and enjoy. It is hard to find a pair of scissors that don’t get blunt easily and are comfortable to use, Maped have created a pair that have gel handles, so they the handle is soft and easy to use. The blades are made from steel, keeping them sharp for longer. Great value for money and to top off, the packaging is eco friendly. Highlighters are an office necessity no matter what your line of work is, and the Fluo Peps Pocket highlighters are a perfect addition to any desk. 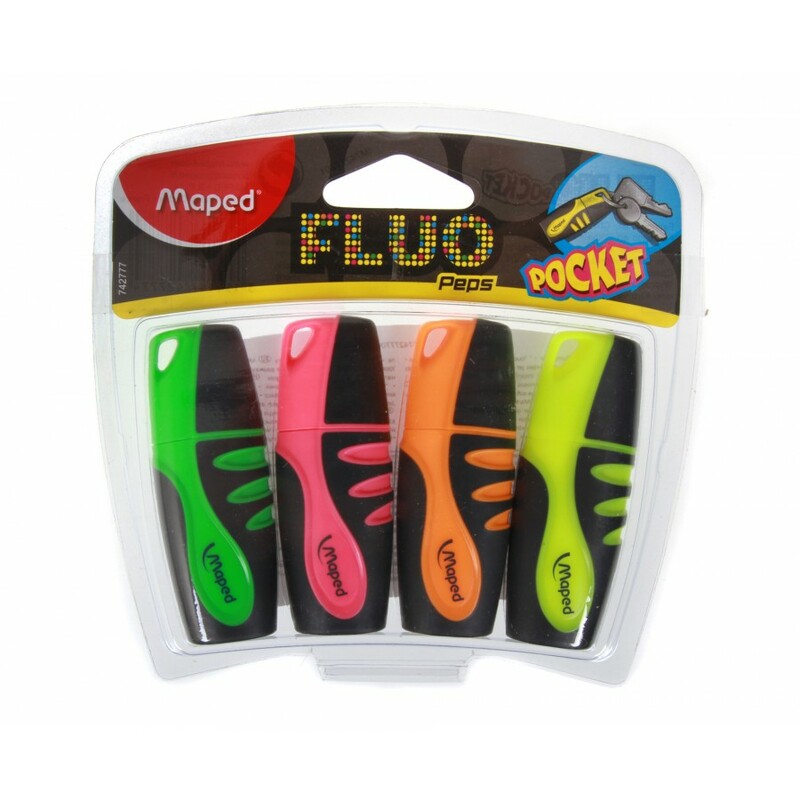 This pack of four different colours is small enough to be carried around in your pocket for highlighting on the go – especially handy if you’re travelling and required to go through documents. Another fantastic little feature is that each highlighter has a hole in the cap so it can be connected to a key ring. 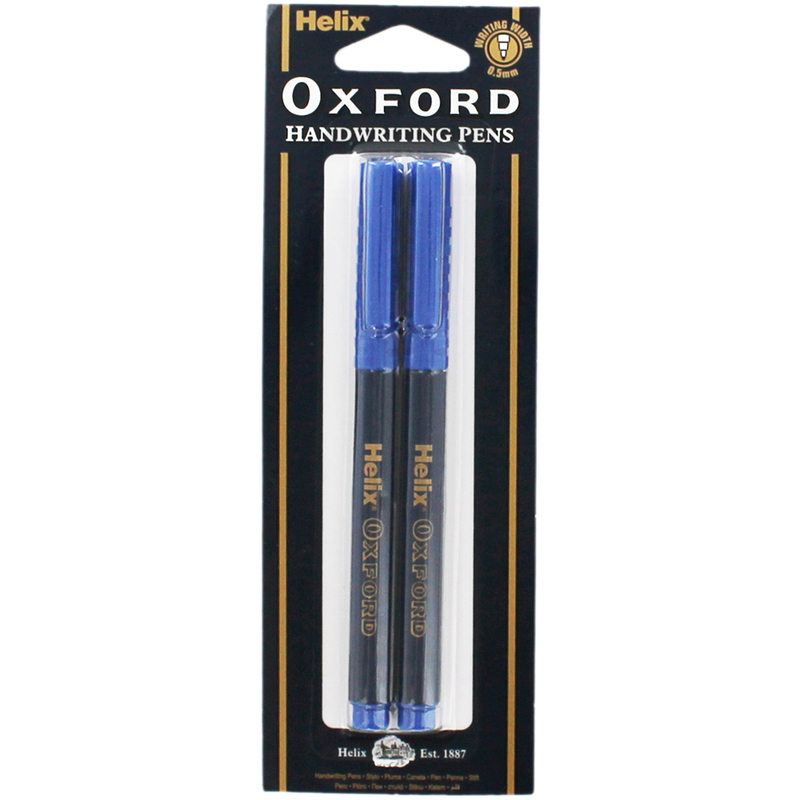 You might remember these pens from your school days, but the Oxford Handwriting pens are still the perfect alternative to a ballpoint. Their washable blue ink means that any marks on your clothes need not cause a panic, and the ink also dries almost immediately upon hitting the page. 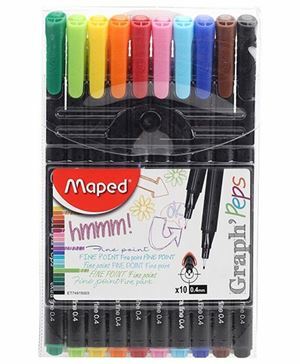 These fine point pens from Maped are a joy to write with, and the extra fine point tips are great for annotating. In a pack of ten, you get a range of bright colours and fast drying ink, and the pens are easy to grip and are especially smooth to write with. 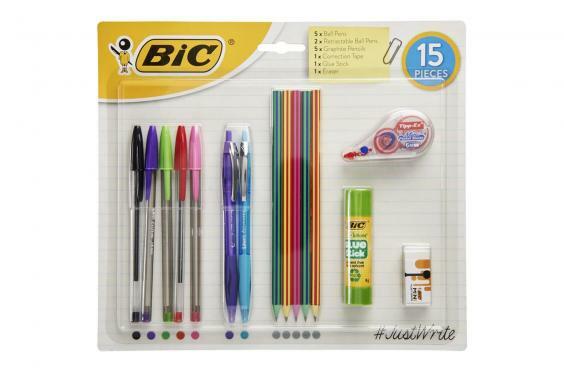 As one of the most reliable companies out there for stationary, you know that when you buy a Bic product, you’re going to be happy, and the 15 piece stationary set is no exception. For an office, it includes all the necessities – 5 ball pens in an array of colours, 2 retractable ball pens, 5 graphite pencils, 1 correction tape, 1 glue stick and 1 eraser. As always with Bic, the quality is high and they’ve managed to out together a great multipack, which is also incredibly affordable. In any office, you’ll often find yourself reaching for a highlighter, be it for contracts, for use on packs of information or for marking a to-do list. 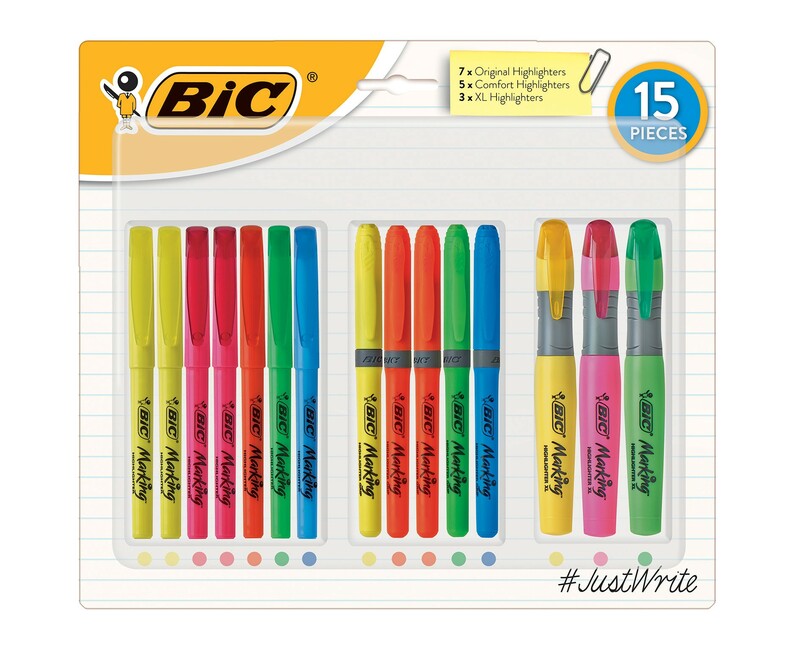 Luckily, Bic have provided the ultimate collection of highlighters that should keep you well stocked! This pack comes with 7 original highlighters with chiseled 1.6mm tips for underlining and 3.4mm for broad highlighting. These are most likely to be the ones you use most often and are thin enough to carry around or clip onto paper. There are 5 comfort highlighters, also in a range of colours, all of which are fitted with a textured rubber grip for extra comfort. Apart from that, this grip also gives you more control when using the highlighter. Finally, the pack is completed with 3 XL highlighters for when you need to cover a larger area. The chisel tip provides you with a line width of 5.1mm for broad highlighting and is also shaped and with a textured grip for comfort and control. One of the great draws of Bic highlighters is how long they last, with up to 8 hours cap-off time, meaning that those highlighters that dry out quickly will soon be a thing of the past! Once you’ve kitted out your office will all the necessary stationary, the next task is to store it. That’s where Sistema’s fantastic storage boxes come in. 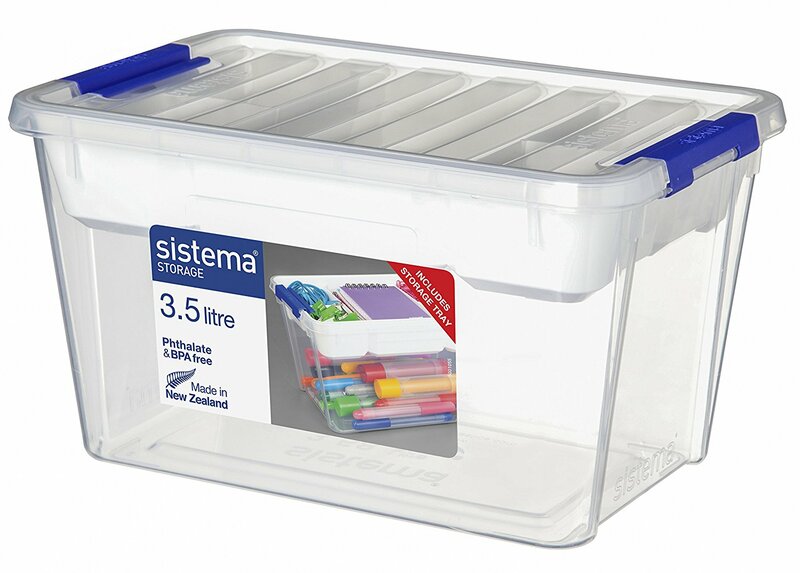 The 3.5 litre box is perfect for containing pens, pencils, scissors and all manner of stationary items you might like to tidy away. The removable storage tray is ideal for smaller items such as paper clips or rubber bands with its 5 segments. The tray also clips on securely to the box, which is just another great feature on what looks to be a simple storage box!